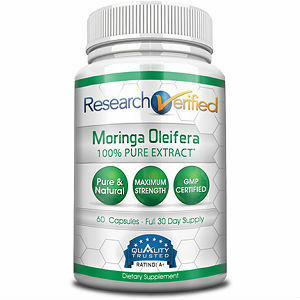 Moringa oleifera is the newest addition to the elite group of superfoods. It is a resilient tree that grows in Asia and Africa. Other names for it are “the drumstick tree, “the horseradish tree,” and “the ben oil tree.” Although the leaves taste bland when cooked in soups and curries, they are somewhat bitter and spicy when eaten raw. The taste of the uncooked leaves has been compared to mustard or horseradish. The Moringa tree thrives in dry, sandy soil. Many cultures have been using its leaves, pods, flowers and roots for food as well as for medicinal purposes. It may be new to some, but it has been known for centuries in places like India for its healing effects. 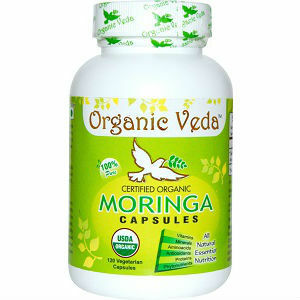 In traditional ayurvedic medicine, the Moringa is said to treat 300 different kinds of illnesses. Science is beginning to prove that these beliefs are not without basis. In 2008, the Moringa was awarded the “Plant of the Year Award.” The leaves can be eaten as a vegetable, boiled in water as a tea or dried and used in the form of a powder. In some Southeast Asian cultures, the seeds are consumed as a natural vitamin source. 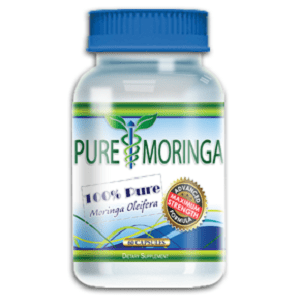 It is no wonder that Moringa has gained so much recognition. From a nutrition standpoint, it packs a wallop of vitamins, protein and minerals. The leaves of the Moringa contain 4 times more calcium than milk, 7 times more vitamin C than oranges, 3 times more potassium than bananas, 4 times more vitamin A than carrots and 2 times more protein than yogurt. It contains 46 different antioxidants, 27 vitamins, 9 essential amino acids and several minerals. As if its nutritive value weren’t impressive enough, Moringa is also a natural water purifier as well as a remedy for a wide range of diseases such as arthritis, diabetes, anemia, diarrhea, rheumatism, asthma, malaria, cholera and gastric ulcer. It has natural antibiotic, anti-inflammatory and anti-viral properties. As a tea, it is said to be a cure for the cold as well as the flu. As a poultice, it can be used for skin diseases, insect bites and cuts. It is also known to aid in lactation and is often served to breastfeeding mothers. Perhaps only newly-recognized in the West, this wonder-plant is now being made available in countries like the United States. It is becoming an enterprise that supports women, small-scale famers and cooperatives. Marketers and distributors of Moringa make sure that there is always an adequate supply left for the local consumers. Most notable is the role Moringa plays in fighting malnutrition. Malnourished children have been observed to gain weight when fed moringa in porridge. It is also being used as a health supplement for patients who are HIV-positive. 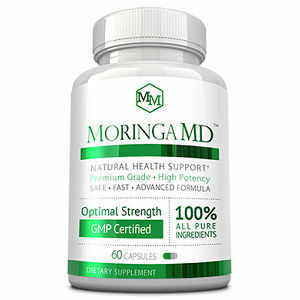 Moringa helps build up the body’s ability to fight off disease. 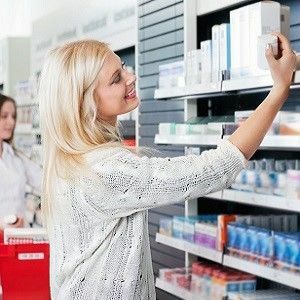 It is also now an ingredient in cosmetics, soaps, shampoos and lotions, as it beautifying effects have also been discovered. It has also been found to boost men’s sperm-cell counts. 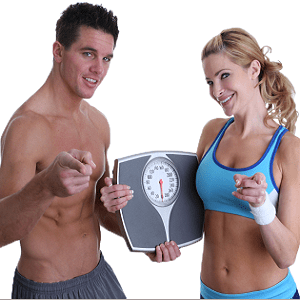 Lately, it has also proven effective in managing body weight, blood pressure and cholesterol levels. 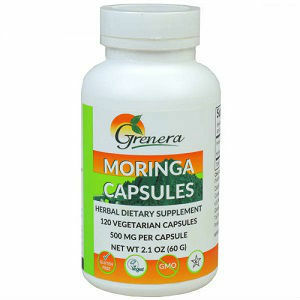 Moringa also has anti-cancer and anti-tumor properties. Other monikers for Moringa are “the miracle tree“, “the tree of life,” and “the miracle herb.” Indeed, it is not difficult to understand why Moringa olifeira is so highly-regarded by traditional healers and medical doctors alike. 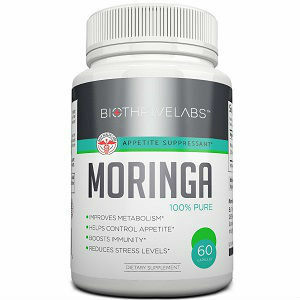 So move over, goji and acai, Moringa is here!